Searching for a home within the Englewood Elementary School Zone? Then you are in the right place! We work hard to make your next home search easy and efficient, so that when you are ready to buy or sell, we are ready to help! 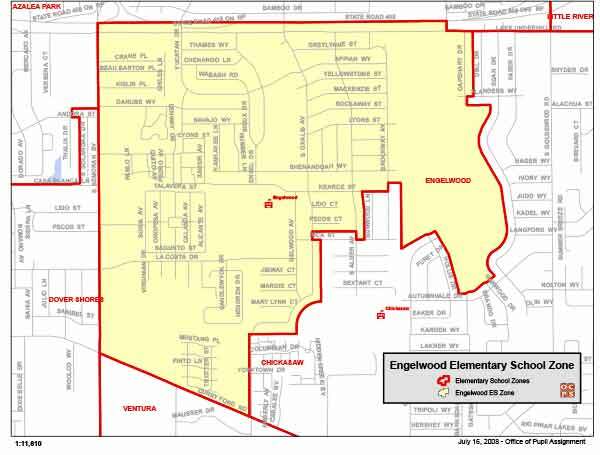 Englewood Elementary School History and Information: Engelwood Elementary is a Title I School located in east Orlando. The school, built in the 1950’s, is in an established, suburban neighborhood of single family residences, duplexes and apartments. The campus consists of several classroom wings, portable classrooms, an office complex, media center and cafeteria, all connected by open-air corridors. We are also home to a Federally funded Head Start Program which serves 3 and 4 year olds in a educationally enriched learning environment. We also have two voluntary PreKindergarten classrooms on our campus. Our students participate in a variety of curriculum based clubs which meet on Fridays at the end of the school day. These include: musical theatre, chorus, science olympiad, engineering, garden, art, kickball, sports, Spanish.